A rebel drone hit Yemen's largest air base Thursday, killing six loyalist soldiers during a military parade in an attack which threatens to hamper UN-led peace efforts. At talks in Sweden last month, the UN brokered several agreements between Huthi rebels and the Saudi-backed government seen as the best chance of ending nearly four years of devastating conflict. The Shiite Huthi rebels said they carried out the strike on Al-Anad air base, in government-held Lahij province some 60 kilometres (40 miles) north of Yemen's second city Aden. At least 12 people were wounded, including top commanders, according to medics at Ibn Khaldoun hospital in the provincial capital Huta. Footage of the attack showed a drone exploding over a podium around which dozens of military personnel were standing. Soldiers scrambled to carry wounded comrades to military vehicles, while a man holding a camera bled on the ground. An AFP correspondent at the scene said journalists were among the wounded. Originally built by the then Soviet Union during the Cold War, Al-Anad served as the headquarters for US troops overseeing a long-running drone war against Al-Qaeda until March 2014, when it was overrun by the Huthis. Government forces recaptured it in August 2015 as they recovered territory from the rebels with support from a Saudi-led military coalition. Yemen's deputy chief of staff Saleh al-Zandani, intelligence Brigadier General Saleh Tamah and senior army commander Fadel Hasan were among the wounded, along with Lahij governor Ahmad Abdullah al-Turki, doctors at Ibn Khaldoun hospital told AFP on condition of anonymity. Chief of staff General Abdullah al-Nakhi was also at the base at the time of the attack, a pro-government official said. He was not named among the casualties. The strike on loyalist top brass is likely to create a new obstacle to the launch of formal peace talks. Yemeni Information Minister Moammer al-Eryani said Thursday's drone attack was "a strong blow" to the UN's peace efforts. "The Huthi militia does not believe in the language of peace and knows nothing but killing and terror," he tweeted. The Huthis said the attack was "in response to the enemies' continuous air raids", in a statement carried by the rebels' Al-Masirah TV. In last month's talks, the warring sides agreed truce deals for the key rebel-held aid port of Hodeida and battleground third city Taez. Griffiths told the Security Council on Wednesday that a new meeting was to be held in Jordan next week to follow up on a major prisoner swap agreed by the warring parties last month. On Thursday, Yemeni Foreign Minister Khaled al-Yamani said the Sweden agreement "hadn't achieved anything on the ground", during a press conference with his Jordanian counterpart in Amman. Jordanian Foreign Minister Ayman Safadi said Griffiths had requested Amman host "a specific meeting" on Yemen and that the kingdom was mulling it over. Griffiths told the UN Security Council on Wednesday that both parties in the Yemen war had "largely adhered to the ceasefire and there has been a significant decrease in hostilities". Residents in Hodeida on Thursday remained on edge amid the relative calm. "We are afraid that the agreement between the Huthis and the resistance (Yemeni government alliance) will collapse," Mohammed Ali told AFP. "We are watching the situation with great concern. We see nothing reassuring." The latest negotiations sparked hopes of ending a conflict which has left nearly 10 million people just one step from famine in what the UN describes as the world's worst humanitarian crisis. But Griffiths has warned repeatedly that even small steps towards peace remain fragile. "It is my view and it is shared by the leadership of both parties, but also others, that substantial progress, particularly on Hodeida of course, is something that we would like to see before we reconvene the next consultations," he said. The UN is working to schedule a new round of consultations, possibly in Kuwait, aimed at drafting a political framework for an end to the conflict. 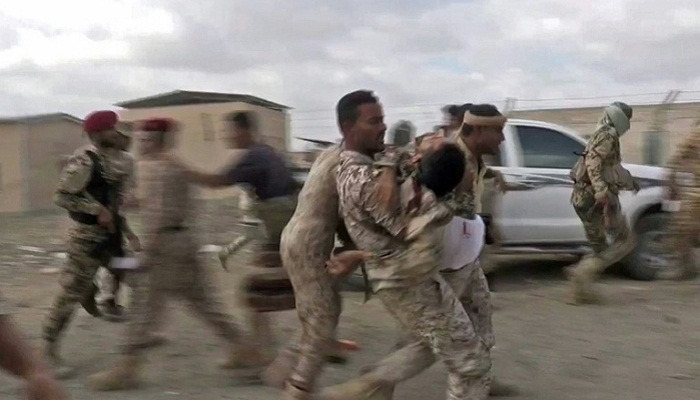 The war between the Huthis and loyalist troops escalated in March 2015, when President Abedrabbo Mansour Hadi fled into Saudi exile, prompting the Saudi-led coalition to intervene. International pressure for a peace settlement has intensified as the humanitarian crisis has worsened and after Saudi Arabia sparked Western outcry over the October murder of dissident journalist Jamal Khashoggi inside the kingdom's consulate in Istanbul. De facto ruler Crown Prince Mohammed bin Salman, who was the architect of the Saudi intervention in Yemen, has been held responsible by the US Senate for ordering the killing. Secretary of State Mike Pompeo is to raise the issue in talks in Riyadh later this week, US officials said.